On August 15, 2014, IANS reported that Russia's United Aircraft Corporation (UAC) has completed the front-end engineering design of the FGFA for the IAF. The UAC is currently preparing the contract on the aircraft's full-scale development. UAC president Mikhail Pogosyan told Arms-Tass, "We have completed the front end engineering design stage. The work on the preparation of the contract on the FGFA full-scale development is now in progress." It was earlier reported that a contract for R&D is being prepared. It was expected to be signed in late 2013. The value of the R&D contract is estimated to be worth $11 billion. The delay in signing the R&D contract is attributed to India's concerns about its low level of participation in developing the aircraft, cost-overruns, delays and Russia's willingness to implement the 40 to 45 improvements in the fighter aircraft’s design that India has sought. 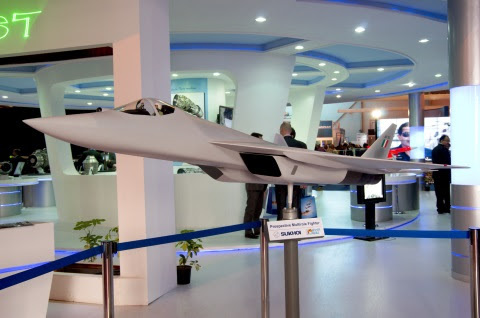 HAL and Sukhoi finalized the design and technical specs of the aircraft and agreed on a work share for the research and development (R&D) phase in April 2013.